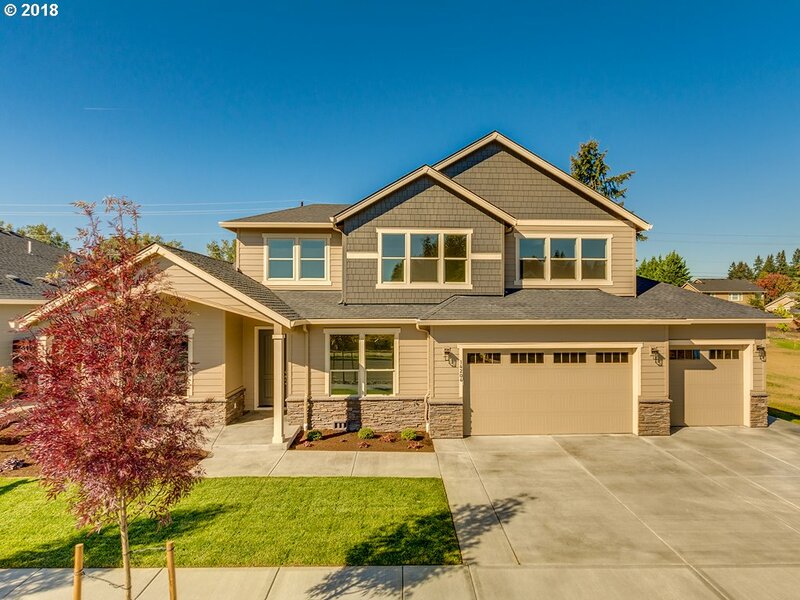 All HEIGHTS AT PLEASANT VALLE homes currently listed for sale in Vancouver as of 04/18/2019 are shown below. You can change the search criteria at any time by pressing the 'Change Search' button below. "Entertainers will love this incredible open floor plan with 4 bedrooms on the main plus bonus with full bath upstairs. 11 ft ceilings in entry & great room. Custom DeWils cabinets, high end finishes throughout. Fully landscaped yard with sprinklers, fencing, covered patio. All Glavin Homes in this neighborhood are being built to National Green Building Standards & to be Energy Star Certified." "Spacious farmhouse plan with 3 bedrooms + den on main, plus upstairs bonus! Quality features include quartz kitchen counters, walk-in pantry, DeWils cabinets, shower + soaking tub in master bath. Fully landscaped yard with sprinklers, fencing, covered patio. All Glavin Homes are built to National Green Building Standards & to be Energy Star Certified. Pics represent similar home by builder. Model open Wed-Sun 12-5, 14103 NE 51st Ave."
"Custom Build In Community Of 10,000+Sqft. Lots In Salmon Creek: 4BR/3BA Master On The Main + Bonus up. High End Fit & Finish Including: Engineered HW, Slab Quartz & Tile Surfaces/Upgraded Kitchen Appliances/Custom Cabintry/Tile Tub/Showers In Baths/Smart Home Technology Incl. Security Syst/Large Covered Patio/AC/Fully Landscaped w/Sprinklers/Fenced. Located 5mins. to I-205/I-5/Legacy Hospital! Many Floor Plans Available." "ONE LEVEL> Custom Build In Community Of 10,000+Sqft. Lots In Salmon Creek: 4BR/2.5BA Wide Open Plan/Lots Of Light/High End Fit & Finish Including: Engineered HW, Slab Quartz & Tile Surfaces/Upgraded Kitchen Appliances/Custom Cabintry/Tile Tub & Showers In Baths/Smart Home Technology Incl. Security Syst/Large Covered Patio/AC/Fully Landscaped w/Sprinklers/Fenced. Located 5mins. to I-205/I-5/Legacy Hospital!" "MOVE-IN READY! Brand new energy efficient home. Master on the main, along with den & guest suite. Plenty of space with bonus & 2 add'l bedrooms upstairs. Quality features include quartz kitchen counters, DeWils cabinets, Craftsman style painted woodwork, walk-in shower + soaking tub in master bath. Fully landscaped yard w/sprinklers, fencing, & covered patio. Built to NGBS & Energy Star certified."